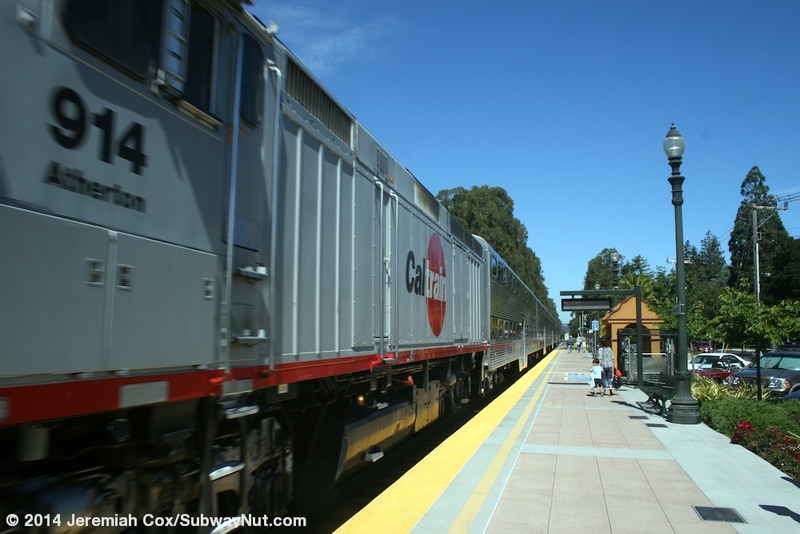 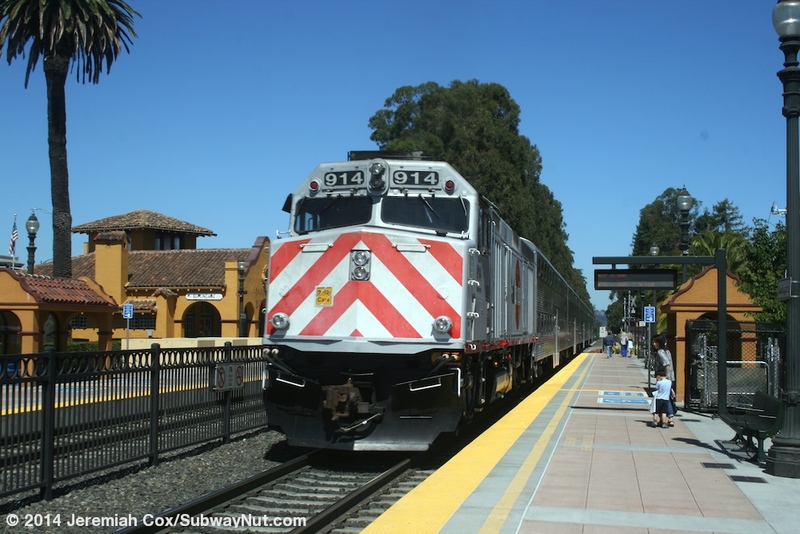 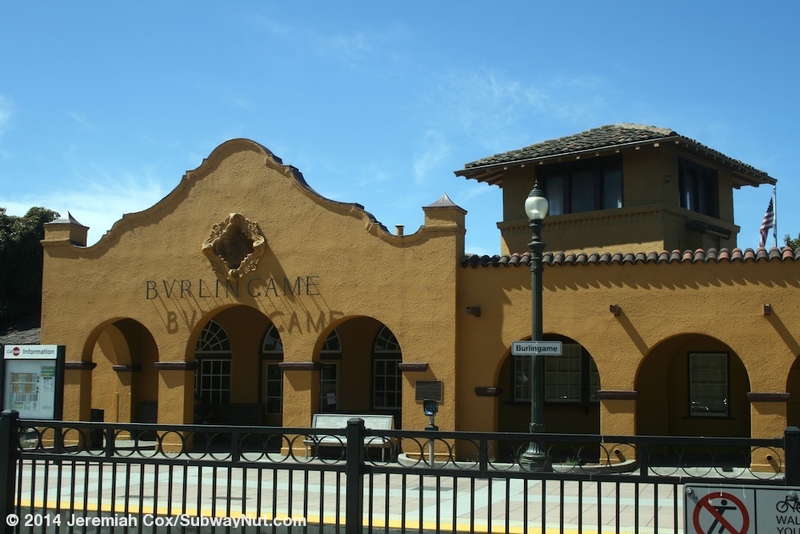 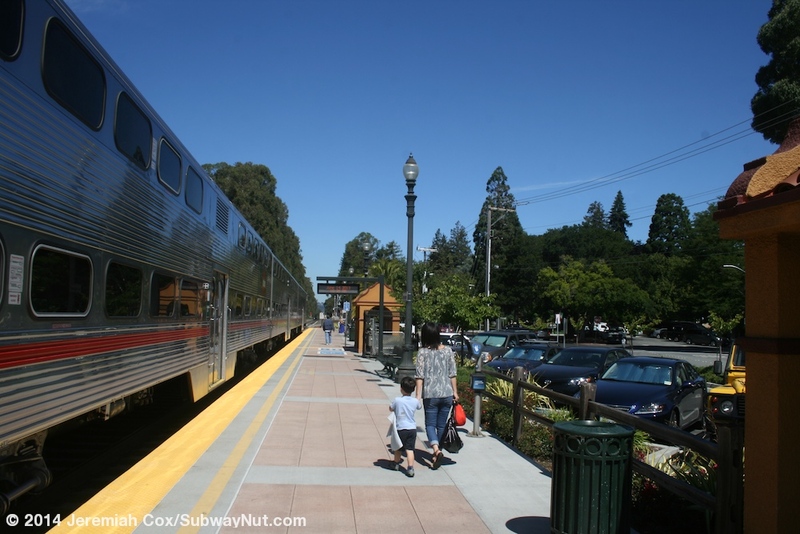 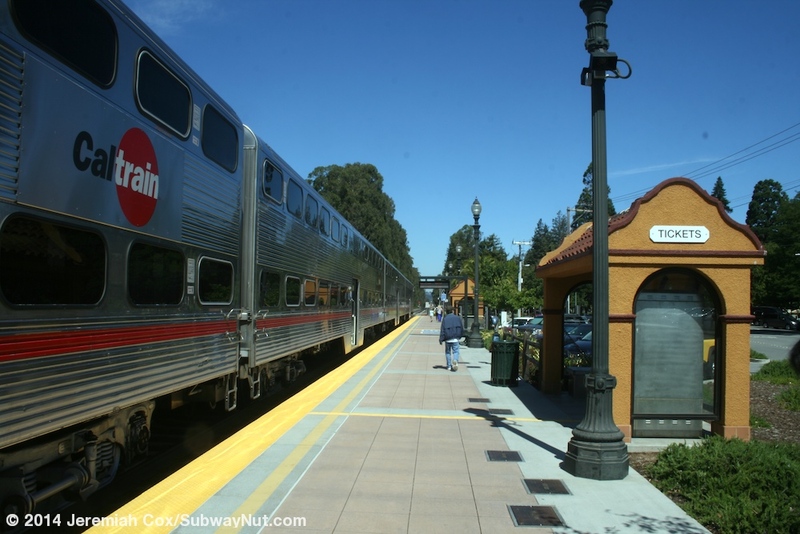 Burlingame is a historic landmarked Caltrain station. 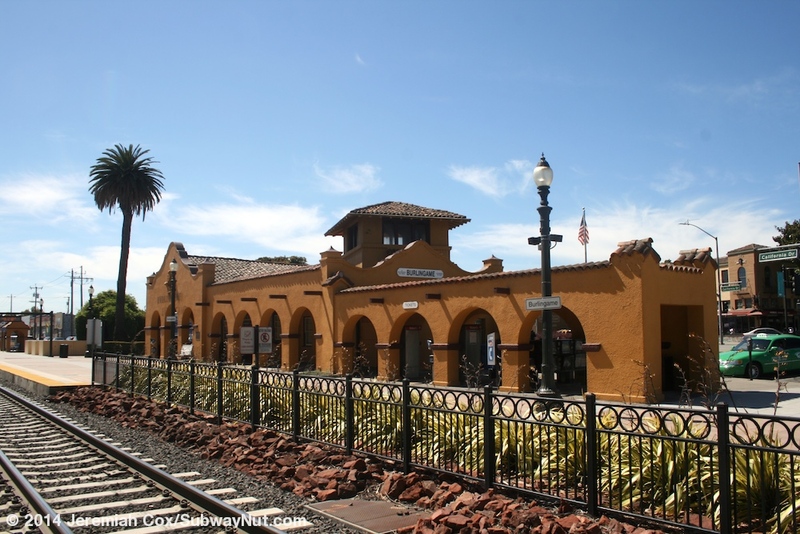 The brown mission revival style depot with a Spanish roof first opened for service October 10, 1894. 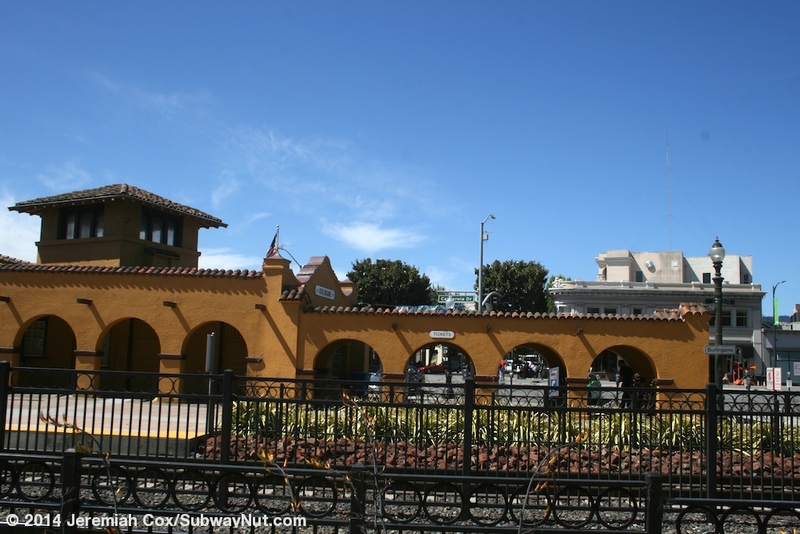 The San Francisco Chronicle nearly a year before on December 10, 1893 dubbed it the "Prettiest Station on the Line." 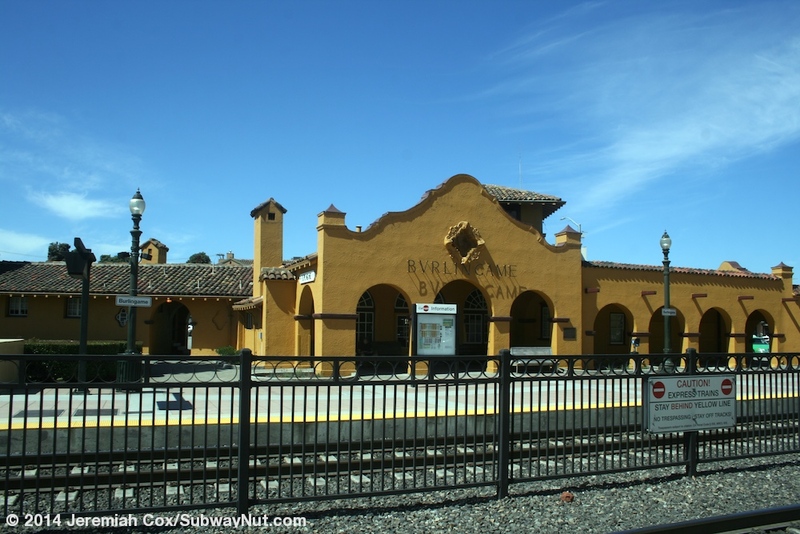 The building itself was restored with another dedication on June 14, 1986. 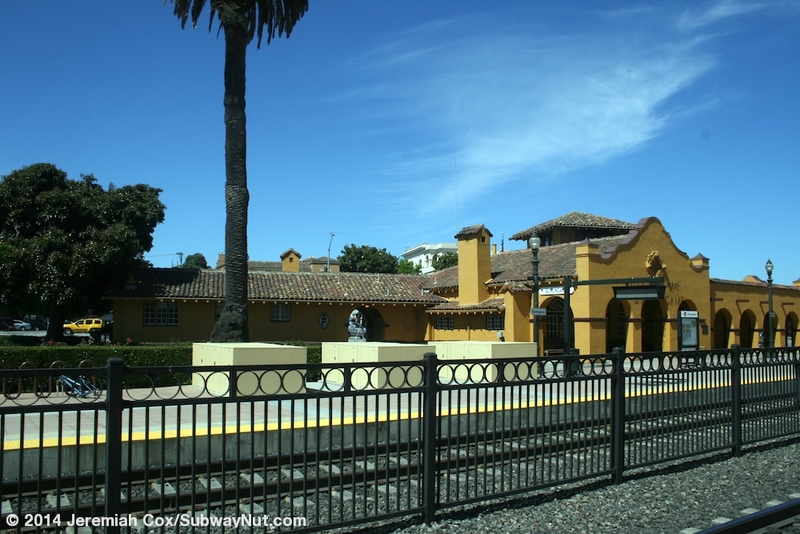 There was a ticket agent until the early 2000s (the station was still staffed in 2001). 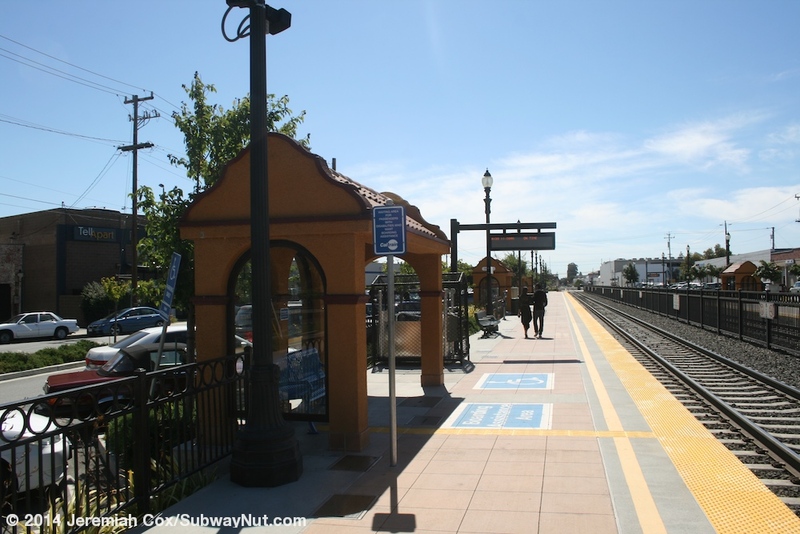 The current platforms were renovated for $20.5 million and finished in June 2008. 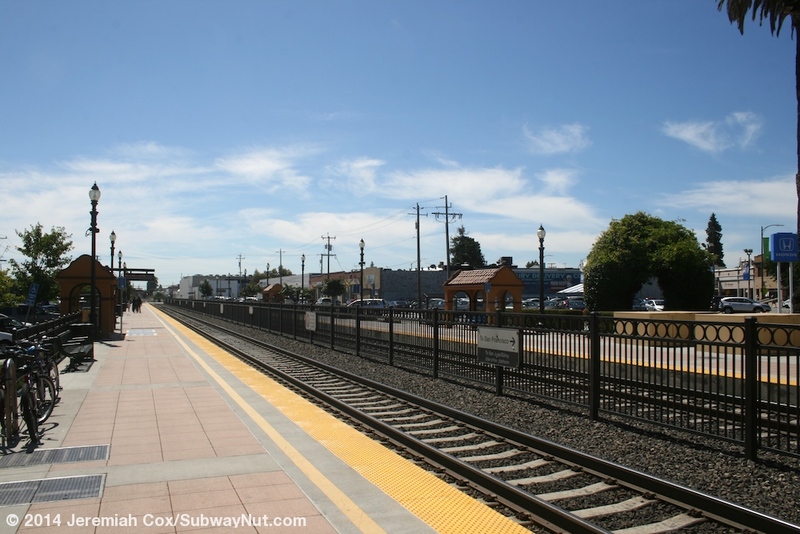 The station before this date had a side and central boarding platform and had a holdout rule meaning just one train could be in the station at a time (suppressing capacity of the entire Caltrain line), and weren't ADA accessible. 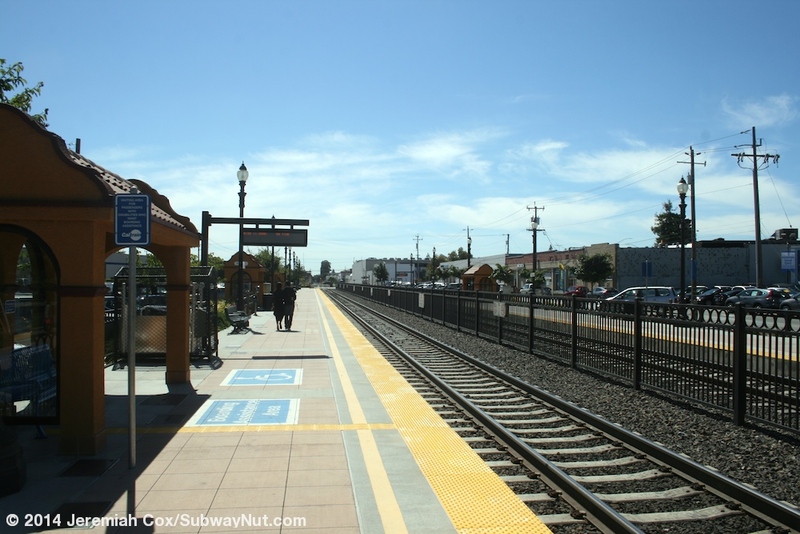 The current two side platforms for the two-track line are completely accessible and run between the grade-crossings of North Lane (north end of the platforms) and Howard Avenue. 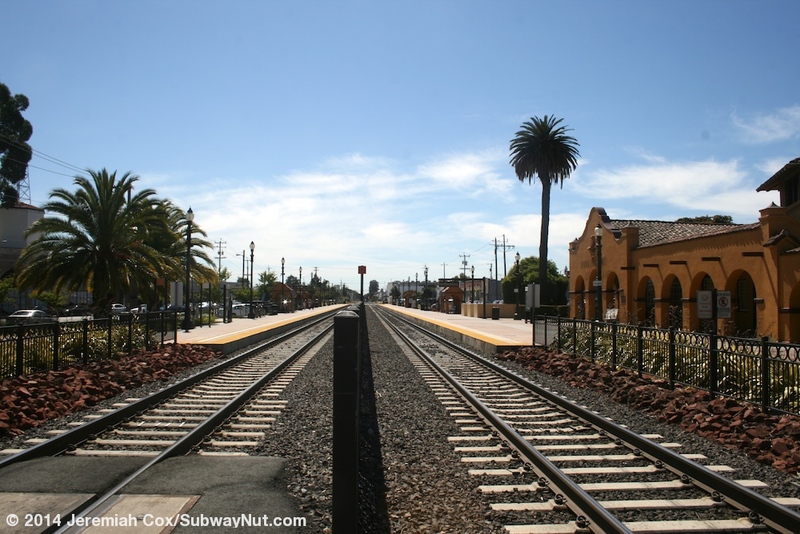 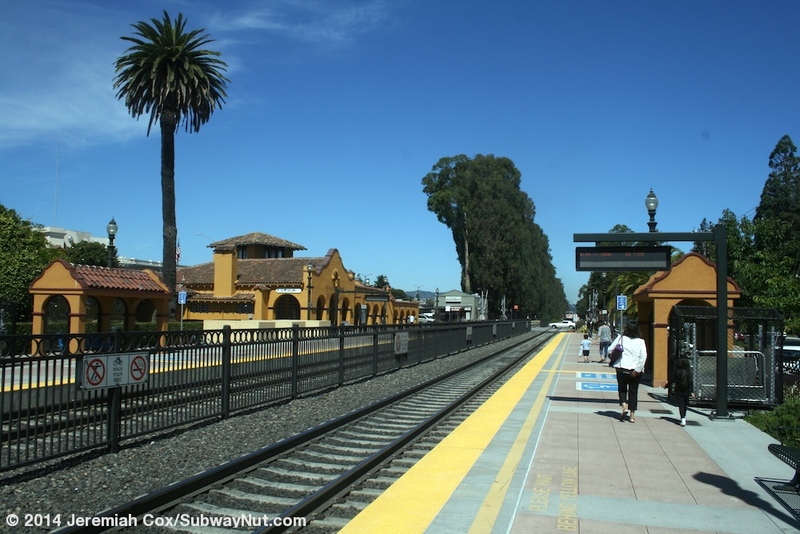 The northern end of the San Jose-bound platform is where the historic station house is. 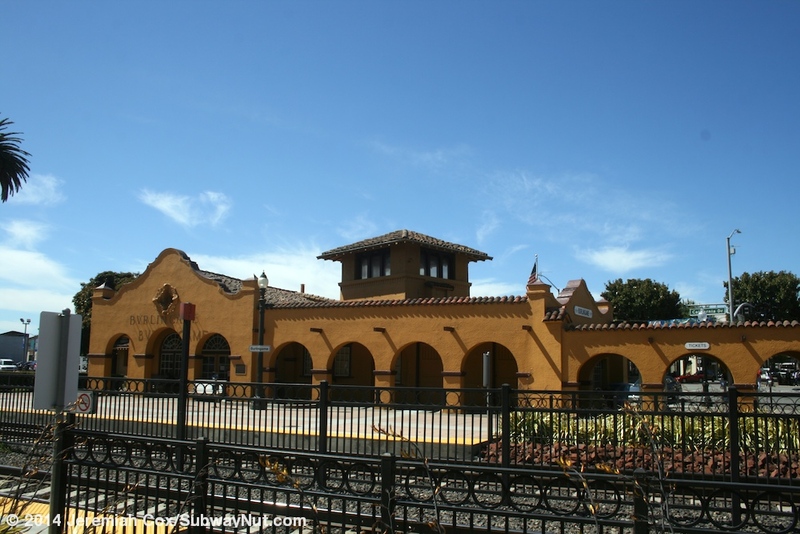 This station house doesn't appear to have any open areas during a midday weekday visit but the eves and porches (held up by numerous arches) that extend all around the indoor portion of the building provide plenty of shelter in the mild California Climate for waiting passengers. 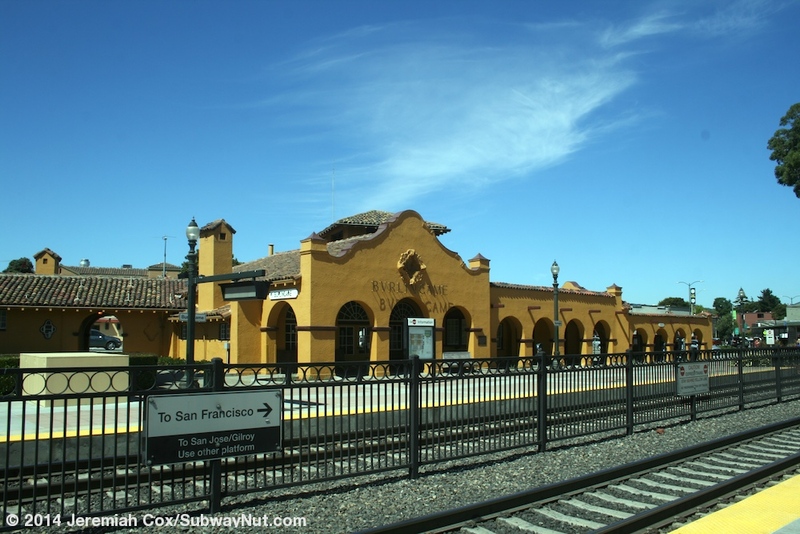 Passengers waiting for trains additionally have modern shelter structures (4 on the S.F.-bound platform, 2 on the San Jose-bound) held up by arched concrete in the same style as the station with Spanish titled roofs. 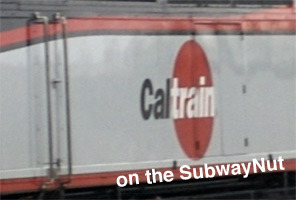 They do have more modern glass windscreens inset into the arches. 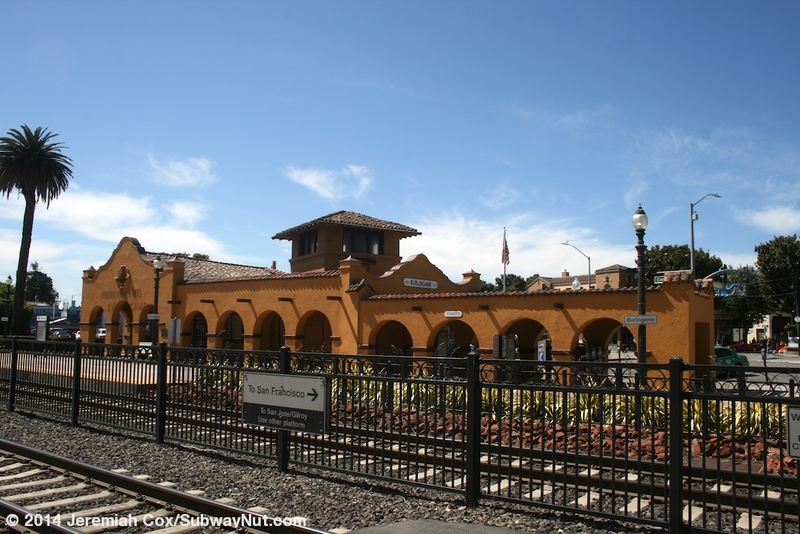 The station building is between the tracks and California Drive. 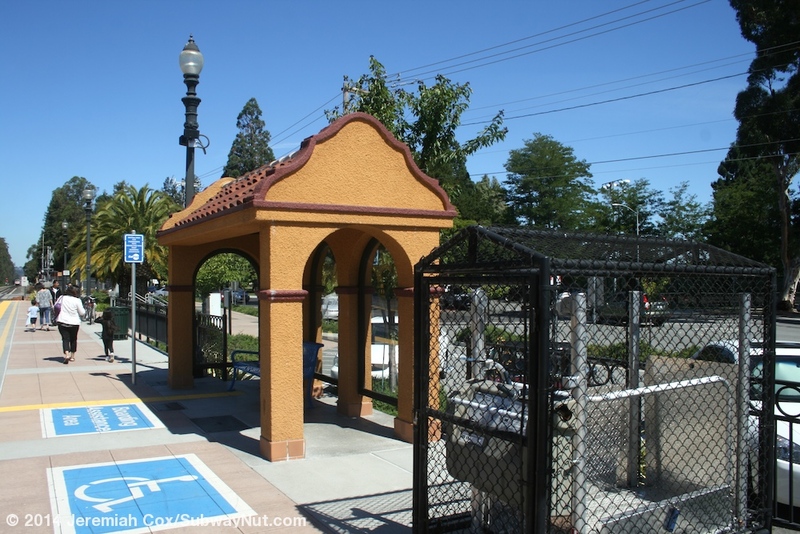 Parking is all along this platform and minimal with most of the spaces in a long and narrow 68 space lot north of the station (across North Lane) between the tracks and California Drive. 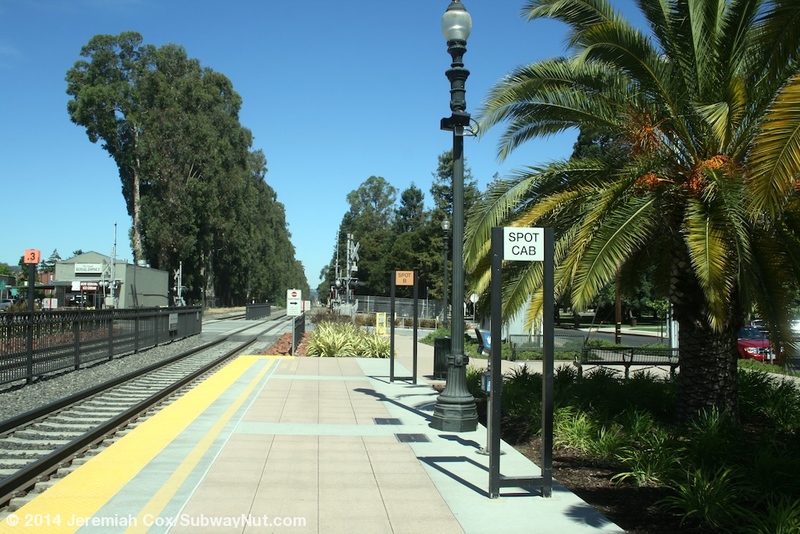 The San Francisco-bound platform (with a minimal number of parking spaces) is directly parallel to East Lane.